Siliguri: Trinamul leaders and supporters in the Darjeeling hills are perplexed as they have no inkling to the party's current political strategy with regard to the region. They are now looking towards the ensuing visit of chief minister Mamata Banerjee here next week and hope they would be given some directives as to whether to continue to lie low or resume political activities in the hills. "For the past six months, that is since the commencement of the statehood agitation, our party has not taken up any political activity in the hills. Over three months have passed since the strike was withdrawn and the situation is completely normal across the hills now. But so far, no specific directive has reached us from the state leaders or even those in Siliguri. We really have no idea if the party wants to continue working in the hills," said a Trinamul leader in Kalimpong. A few days back, Morcha leaders and supporters based in the Terai betrayed similar confusion. It is because of the silence of the central leaders, particularly the Binay Tamang camp of the Gorkha Janmukti Morcha that its supporters across the Dooars defected to Trinamul last month. "Our situation is no different than the Morcha supporters and leaders in the foothills. There is no clear direction from the party as to what we should do. Common people and even our family members often ask us whether Trinamul is at all interested in developing its base in the hills," said another leader in Mirik block. The confusion, he said, has cropped up because of a stark contrast in the party's activities now vis-à-vis the civic polls last year. "Ahead of the municipal elections and even after the results, the hills were beaming with political programmes taken up by Trinamul on a regular basis. But in the past six months, not even a street corner or a rally was held in the hills. Also, the state leaders have brought in new faces in top positions of the hill committee. Altogether, the workers and supporters are baffled," the leader added. Political observers opined that Trinamul leadership seem have planned a measured tread. "During past few months, political activities of the hill based parties other than the Morcha have increased and there hadn't been any opposition from Morcha's side. But unlike these parties, Trinamul is against the demand for separate statehood," said an observer. 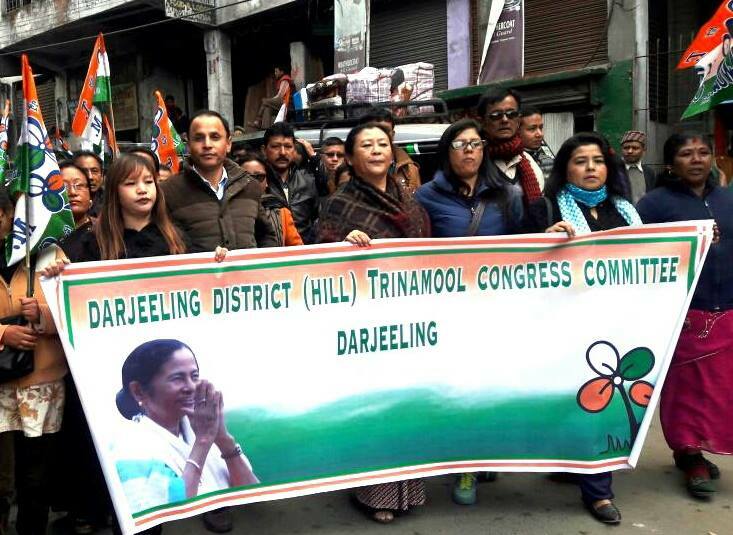 Trinamul leaders and supporters in the Darjeeling hills are perplexed as they have no inkling to the party's current political strategy with regard to the region.